When your client’s bathroom is the size of a closet, they might be tempted to just give up on it. 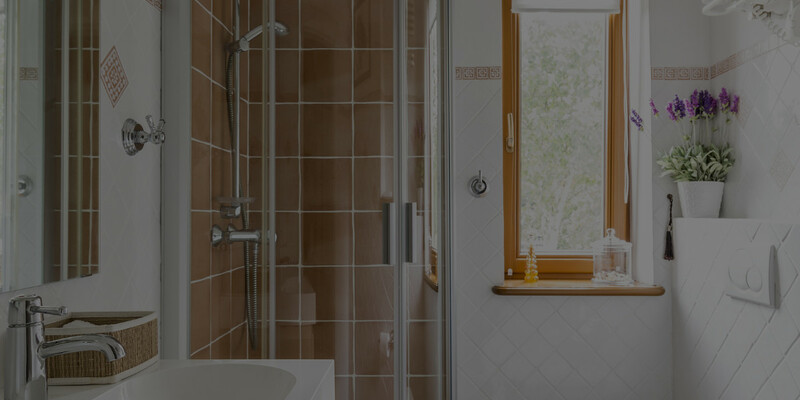 After all, bathrooms tend to get messy, and unlike other rooms in the house, most people don’t spend much time in them. But, as we said in our post on the hottest up-and-coming trends of 2016, we’re tired of boring bathrooms. Treat these small-scale interior decorator jobs with care! Just because you’re working with a small space doesn’t mean you can’t create something stylish! Here are our tips for making even a tiny bathroom beautiful! Vanity sinks dominate the bathroom, and for good reason—they offer extra counter space and extra storage, both of which are biggies in a small room. But they also eat up valuable floor space, as well as turning the bathroom into an obstacle course if they jut out too much. While you might be losing out on some counter space, many of these sink styles still have room for storage. No built-in cabinet under the sink? Just add a low shelf or some storage baskets. And whatever style you end up settling on, consider going for something rounded. In a really tight space, sharp corners can create a lot of bruises. 2. Shower door or shower curtain? A glass shower door that swings open can take up space and turn into a major inconvenience in a tiny bathroom. A shower curtain, on the other hand, just slides open and shut, making it way easier when you’re short on space. Plus, online art stores like Society6 now let artists put their work on shower curtains, which means you’ve got hundreds of cute and kooky designs to browse through. The problem? A curtain hides your shower and/or tub, making a small room look even smaller. Installing a glass door that slides instead of swings might be a good compromise. Soft neutrals and pastels can work wonders for creating a sense of space without actually changing the size. Darker colors might be dramatic, but they’ll tend to make the bathroom feel smaller and more closed in. The same goes for bright or busy patterns. Instead, you can work these features in by going for towels and accessories in bold, modern colors and styles. You don’t have to steer clear of patterns altogether, though. People in the fashion world have lots to say about stripes, and while we’re going to steer clear of that debate, it is worth noting that wide stripes can be really effective in a small bathroom. The same goes for big tiles. 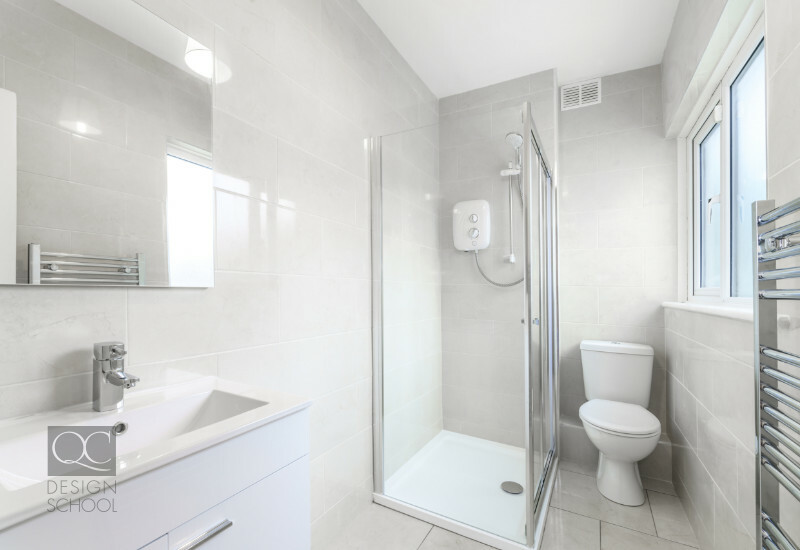 You might not be able to change the size of your client’s bathroom, but you can definitely give the illusion of a larger space. Anyone who grew up with a sibling can probably remember the struggle of jostling for a spot in front of the bathroom mirror in the morning. The trick to solving that problem is simple, no matter the size of your bathroom: get a bigger mirror! 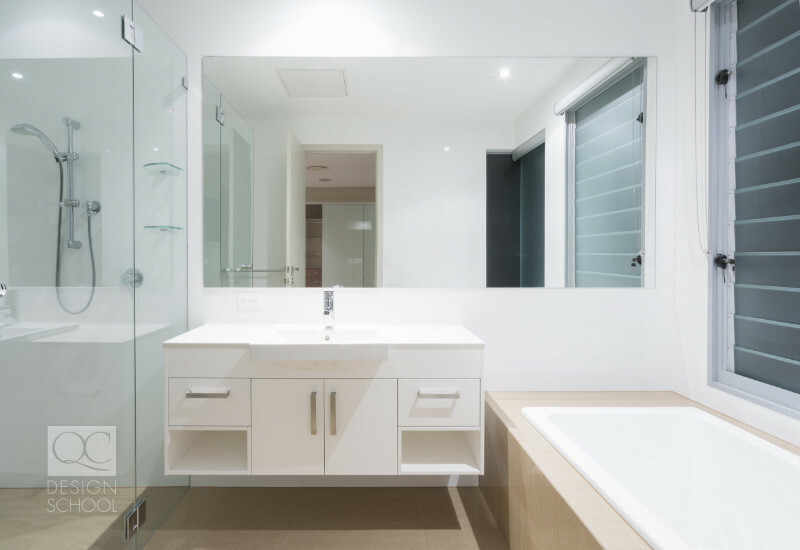 Rather than a mirror that sits just in front of the sink or vanity, look for one that stretches across the entire wall. As well as making it easier for two people to use at once, a bigger mirror will reflect more light and give the illusion of a larger room. Whether you’re adding in a skylight or just changing up the light fixtures, working with lighting is essential to creating an open, inviting space in even the smallest of bathrooms. Natural light is ideal, so see what you can do to bring more in. A skylight or new window is a wonderful (though pricier) addition, but it can also be as simple as changing out dark, opaque curtains for something translucent and airy. When it comes to fixtures, take a look at what you’re working with. Recessed lights are perfect for a low ceiling: they’ll give a nice overhead glow without intruding into the bathroom’s limited space. A higher ceiling lets you experiment with something more elaborate like a chandelier to add a touch of luxury to the small space—just make sure it’s to scale, otherwise your fixture can end up dwarfing the rest of the room even more. Whatever the size of your client’s space, adjustable lighting helps to make the bathroom multifunctional. Shaving or putting on makeup requires brighter lights, but dimming the glow for a relaxing soak at the end of the day makes the room much more than just a necessity. Multiple people sharing a bathroom = multiple towels. 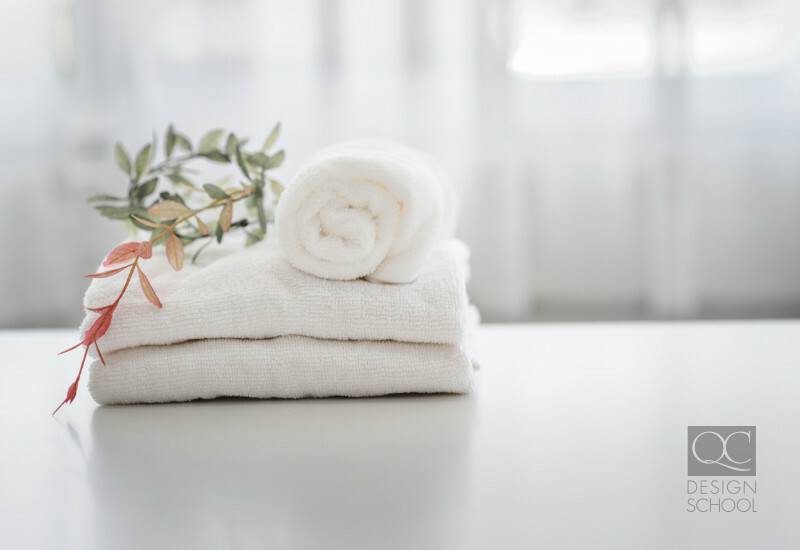 As soon as you try cramming two or more towels onto a towel rod, it ends up looking cramped instead of chic. To avoid unnecessary towel clutter, consider replacing your rod with a series of coat hooks, like in this bathroom. Even if too many towels aren’t your problem, look for ways to transform your rod. Mount it on the shower door, the back of the bathroom door, or the side of the vanity to save valuable wall space. Ah, the never-ending quest for storage space. Luckily, as our post on hidden storage ideas proved, the creative solutions to storage dilemmas are limitless. Add a shelf above the door to hold little-used items like extra towels or cleaning supplies. Install floating shelves above the toilet, or look for an over-the-toilet shelving unit. Varnish or paint spice racks to match the bathroom, then mount them on the wall for storing everyday essentials—or hide them away on the inside door of a cupboard. Make the most of limited counter space with a stacked plate rack. Install a recessed medicine cabinet, and don’t just use it to store medicine! No space for shelves? Look for an over-the-door storage unit instead. 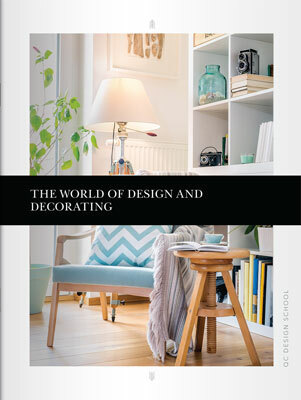 Do you want to learn more about interior decorating and design? 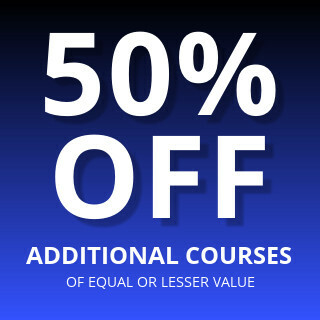 Check out QC Design School’s range of courses to get your career started! Previous PostThe Interior Decorator’s Checklist: Why Isn’t This Room Working? Next PostIs My Interior Decorating Business Ready to Grow?